The yaodongs of northern China represent the ultimate mingling between natural beauty and manmade ingenuity. Stretching across the Loess Plateau within the provinces of Shanxi, Shaanxi, Gansu, and Henan, they have been an integral feature of the landscape for over 4,500 years. Their name literally translates to mean “kiln cave” and is a reference to their arched interior, which supposedly resembles the inside of a kiln. While the name may sound rather fiery, yaodongs are renowned for being pleasantly cool during summer and comfortably warm during winter. Nowadays, it is estimated that more than 40 million people continue to live in yaodongs. To put that into perspective, that’s nearly four times the population of Belgium! The first yaodongs were said to have been built during the Xia Dynasty (c. 2100-1600 BC) and were even mentioned in the Book of Songs, a collection of Chinese poems that were written from the 10th to the 7th centuries BC. During the Han Dynasty (206 BC–220 AD), these yaodongs become much more elaborate, with inhabitants installing chimneys, functioning kitchens, and heated brick beds known as kangs. The Sui (581-618) and Tang (618-907) dynasties saw even further progress as these humble cave houses evolved from single room retreats to fully fledged homes with separate living quarters, livestock stalls, and even defensive walls. By the Ming (1368-1644) and Qing (1644-1912) dynasties, their popularity had reached its peak and they were built widely throughout northern China. The prevalence of yaodongs in northern China is usually attributed to their efficient design and cheapness to build. 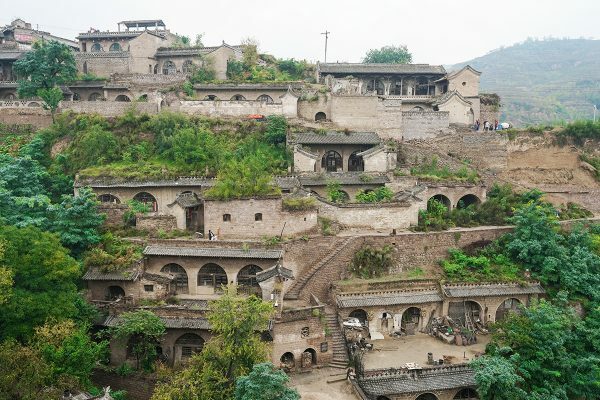 The loess soil from which they are constructed is abundant in the Loess Plateau and acts as an exceptionally effective insulator of heat, meaning inhabitants of yaodongs don’t need to spend extra money or effort heating their homes during the cold winters. In terms of style, they can be roughly separated into three different types: loess cliff houses; hole-courtyards; and “updated” brick houses. The ingenious loess cave houses are the simplest of the three and are dug directly into the loess cliffs that line the deep valleys of the Loess Plateau. 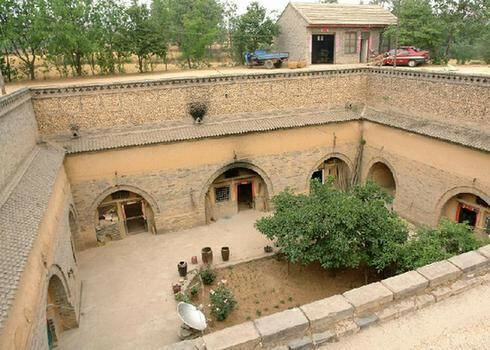 The hole-courtyards are more complex, revolving around an excavated courtyard about 5 to 8 metres (16 to 26 ft.) deep that has been dug into the Loess Plateau itself. For this reason, they are sometimes called “yaodong wells” or “sunken courtyards”. The walls of this courtyard are then carved out to form rooms, much like the simpler loess cave houses. Fortunately for the inhabitants of these “yaodong wells”, it does not rain very often on the Loess Plateau, so there’s no risk of their home being turned into a swimming pool! The newer tradition of “updated” brick houses are built partially or wholly above ground and outdoors, with an arched structure that is inspired by the original yaodongs. Although their roofs are covered with loess soil, they are stand-alone structures made of stone or brick and typically have elaborate designs carved into their façades. No matter the type, each yaodong usually consists of 3 to 5 carved out rooms, which are generally about 7 to 8 metres (23 to 26 ft.) long, 3 metres (10 ft.) wide, and 3 to 4 metres (10 to 13 ft.) high. After all, size doesn’t matter when you have a home this cosy! Not only are yaodongs a fascinating form of folk architecture, they also played a critical role in the history of China. From 1935 to 1948, Chairman Mao Zedong and the Communist Party used yaodongs in Yan’an as their base of operations. American journalist Edgar Snow even visited Mao and his party in Yan’an before writing his acclaimed novel Red Star Over China. If you want to relive this exciting chapter in Chinese history, you can now stay overnight in a yaodong hotel and visit the original yaodongs where the Communist Party held their secret meetings. 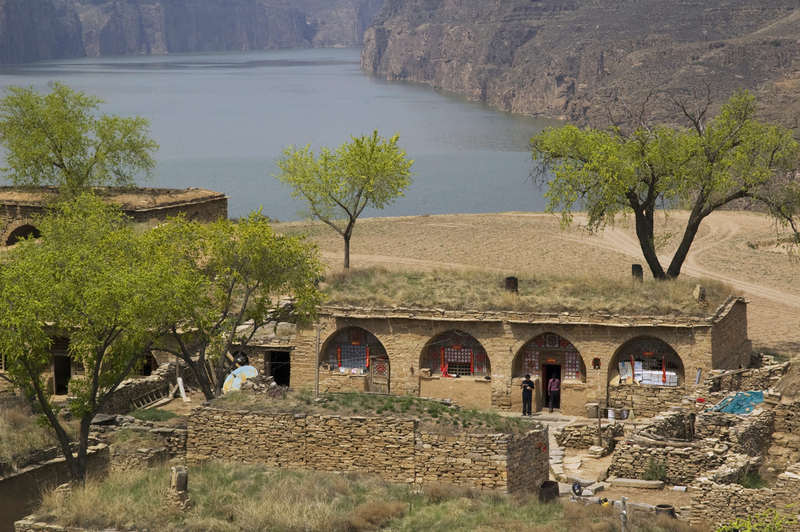 Try the special Yarding hotels on Cultural Tour in Shanxi.